The Muslim Brotherhood was toppled after it failed to manage Egypt's affairs. Its one year of governance ended with a popular revolution and the army's intervention. Its ouster ushered in a period of challenges and risks. With the election of Abdel-Fattah al-Sisi as president, the country has entered a new phase in which its leadership is separate from the military. Even if the latter supports the former, the elected president will bear responsibility for any successes or failures. There are three challenges confronting Sisi. The first is the absence of a specific political plan capable of uniting a wide segment of Egyptians in order to confront two major projects. The first one is the Brotherhood's opposition to the state and anyone who does not belong to the group. The second project is the secularized rhetoric that implicitly or explicitly rejects the national state and its institutions, that rejects the current path and a president from a military background, and that incites university students and youths to boycott the entire political process. The presence of peaceful protesting groups is natural. They are part of the political scene in all countries, including democratic ones. Protesting groups have even been the voice of conscience in some societies, not only a voice of terrorism or incitement to violence. Revolutionary and communist groups did not govern Western Europe, but they pressured capitalist regimes to adopt real social-justice policies. Anti-globalization movements at the end of the last century played an important role in highlighting or amending many negative aspects of globalization. The Occupy Wall Street movement and youths' protests in Turkey, Iran and Brazil have all played a role in their societies, and helped attract attention to many defects. A protesting voice is a global phenomenon. In Egypt, these voices are represented in blocs found in universities and among youths. They increased following the Jan. 25 revolution. However, there does not seem to be a political vision capable of transforming this huge protesting energy into constructive energy, and of integrating it into the political process. This means transforming a large part of the protesting and revolutionary movement into a real reforming opposition that disagrees with the government and presents alternatives to its policies. Sisi also confronts an economic and security challenge. This is what pushed the government to cut spending on energy subsidies, a plan that was postponed during Hosni Mubarak's entire presidency out of fear of people's anger. It is true that there is Gulf support for Egypt, but this will not lead the country out of its crisis unless the economy recovers, and attracts investments and tourists. The third challenge is that of political Islam. We must first differentiate between parties and groups of political Islam. The former include Al-Nour and the Strong Egypt Party. These are part of legal and legitimate political life, regardless of the extent of agreement or disagreement with them. Groups of political Islam, however, are divided into jihadist terrorists who practice violence against the state and society, or religious groups such as the Brotherhood, with some of its members involved in terrorism, whether by colluding or participating. The Brotherhood's problem lies in the fact that its members think that their mere belonging to the group is “jihad for the sake of God,” and that maintaining this group is itself an aim. This quickly turned into a major reason for people to hate the Brotherhood, which is only concerned for its own interests rather than the country's. The Brotherhood's organizational ties and religious education has made its members feel they are superior. They thus incited against their opponents and isolated themselves from the rest of society. This was clearly and shockingly revealed in the terrifying rhetoric of hatred adopted against society and state institutions after their ouster from power. The challenge facing Sisi is based on the possibility of dismantling the Brotherhood and integrating its members not involved in violence within the political process through a political party. This voices the importance of a competent political system and strong state institutions that impose their conditions on this organization and gradually dismantle its infrastructure, so its engagement in the political process can be carried out according to preconditions that are not its own. What happened in Egypt is the exact opposite of this vision. The Brotherhood attained power after the military council suspended the 1971 civil constitution. Afterwards, the council did not set any organizational rules for the political process. It did not grant the Brotherhood a legal license for its activities, submit the group to the laws of the Egyptian state, or monitor its funds. The Brotherhood attained power and devised a constitution that suited it. It came up with laws that empowered itself, and managed the country from behind a curtain. Mohammad Mursi was a mere figure implementing the orders of the guidance office. The Justice and Development Party remained the mere arm of the secretive group, and continued to obey it. It is impossible to talk about a secure integration of the Brotherhood as long as it considers itself “a Godly group” above all others. The major cause now is how to politically deal with Brotherhood supporters - not necessarily all its members - and how to integrate conservative religious powers in the democratic process via parties that believe in the civil constitution, national state and republican system. Political challenges are the most dangerous in Egypt. We will not be able to progress economically unless we have a clear vision of how to deal with the deep political problems facing Egyptian society. 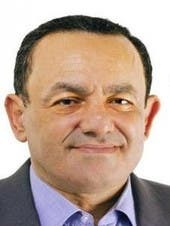 Amr Mahmoud el-Shobaki has served as member of the Egyptian parliament. He is the author of a number of books and articles, including Les Frères Musulmans des Origines à Nos Jours (Khartala, 2009); The Crisis of the Muslim Brotherhood in Egypt (al-Ahram Center for Political and Strategic Studies, 2008); and Islamists and Democrats: The Problems of Building a Democratic Islamic Movement (al-Ahram Center for Political and Strategic Studies, 2004). His publications on Arab and Egyptian political systems, political Islamic movements, European political systems, and European Islam have appeared in numerous newspapers and journals, including al-Masry al-Youm, al-Hayat, al-Sharq al-Awsat, and Le Figaro France. He was a nonresident scholar at the Carnegie Middle East Center, where his research focused on Arab and Egyptian political systems and political Islamic movements.